Named after the Soviet dog who became one of the first animals to travel to space – “In the beginning we were quirky dudes full of pretty insane ideas, much like sending a dog to space, so it seemed fitting” – Laika has been known to walk its own path while creating atmospheric, melodic death metal. 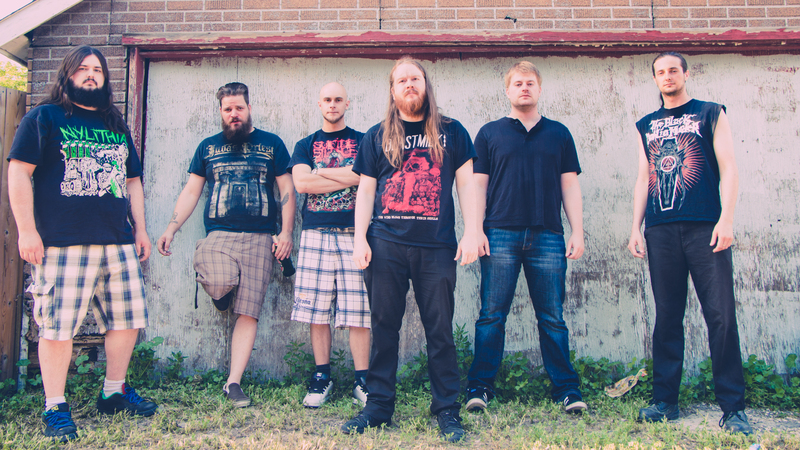 Founded in 2009 as a six-piece, the band unleashed a self-released album in 2010, then hit the road, sharing the stage with the likes of All Shall Perish, Kataklysm, Necronomicon and Unleash the Archers, before temporarily backing away from the spotlight. Driven by a thirst for evolution, Laika spent two years constructing and writing its upcoming full-length album, Somnia (out September 30, 2014), filling it with melodic hooks, ominous keys and lyrics that are bound to get stuck in listeners’ heads to an almost maddening degree. Brace yourself, as this fall, Laika will hit the scene hard, just like they did all those years ago.